We provide ghostwriting and literary promotions services for budding authors. We can get your book published and help you develop a strong following to enhance sales. My new book is Lost Boys of Hannibal, a penetrating account of the historic May 1967 cave search for three lost boys – modern day Tom Sawyers – in the Mississippi River town of Hannibal. The incident remains one of Missouri’s most vexing mysteries of the 20th century. 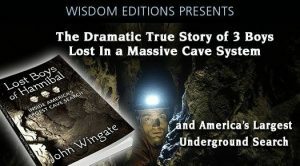 Lost Boys of Hannibal: Inside America’s Largest Cave Search details the lengthy search that captured headlines across the nation and around the world. Beginning on May 10, 1967, the three risk-taking boys, with no caving expertise but an abundance of bravado, made Hannibal ground zero for a terrifying, unfolding calamity that would leave its traumatic mark for half a century.